Can “Chest Pain Choice” an informative chart designed to guide emergency patients in making treatment decisions make a difference in care, patient anxiety, and costs? 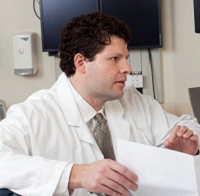 Erik Hess, MD (photo at left) and colleagues at Minnesota’s Mayo Clinic say it can. That includes seeing more patients declining to have stress tests in the ED because they decide their risk of a cardiac event is low. The study was called Involving Patients with Low Risk Chest Pain in Discharge Decisions: A Multicenter Trial. 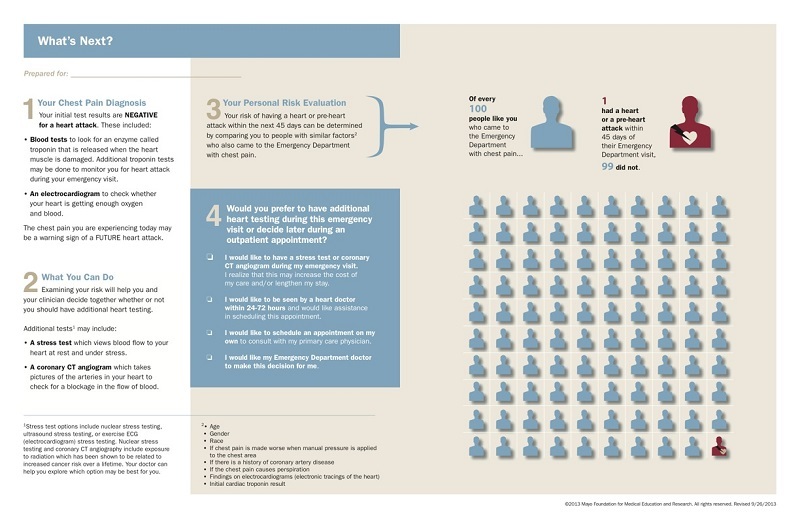 Using “Chest Pain Choice”, a one-page 11x17, color printed handout designed to be a decision aid to facilitate a doctor/patient discussion, Hess and his colleagues sought to gauge the effectiveness of the chart in achieving patient buy-in. They wanted to test the chart both as a tool for patient education and as a way to safely eliminate unnecessary testing and procedures. 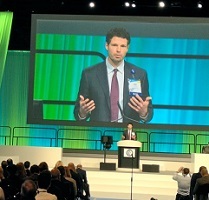 Hess said a patient advisory group selected “patient knowledge” as the primary patient- centered outcome. Though the primary outcome of the trial was reducing deaths and serious cardiac events, additional outcomes included patient engagement, impact on cardiac testing, and safety. The study looked at nearly 1,000 adult visitors to six emergency departments who presented with chest pain. Cases of patients with potential acute coronary syndrome who were being considered for observation unit admission for cardiac stress testing or CCTA were randomized to either discussing the Chest Pain Choice chart with a physicians or to not seeing the chart. With graphic design done by artists at Carnegie Mellon, input from the patient advisory group, and critique from clinicians who, according to Hess, ““held our feet to the fire to keep it down to one page,” Chest Pain Choice illustrates an individual’s risk evaluation and treatment options in prose, numbers, as well as in a pictogram. It takes on average just a minute and 20 seconds to go through the chart with a patient, he said. “The tool itself doesn’t recommend a specific management decision—it just makes transparent what the options are,” Hess said. “By setting out all the options, (Chest Pain Choice) enables patients to participate in their care decisions to the degree that they wish.” Some patients, a small percentage, will simply ask the physician to decide for them, he added. Invoking a shared-decision-making mantra he attributed to a 1998 Salzburg Global Seminar “Nothing about Me without Me” Hess discussed the background for the team’s research. Funded by the Patient-Centered Outcomes Research Institute, an Affordable Care Act initiative intended to generate more clinical research on patient-centered concepts the study showed an increase in patient knowledge about their risk and options. Though the effect on mortality and adverse cardiac events was neutral, Hess said other outcomes were met. The rate of patients who chose to have a stress test in the emergency department declined by 19% and there was a 15% drop in the number of patients admitted to the hospital for stress tests. Patients became more knowledgeable about their symptoms. Fifty-three percent who got the chart and discussed it with a physician later answered questions about chest pain correctly on a questionnaire, compared with 44.6 percent in the control arm. Patients receiving the decision aid were about twice as engaged in the decision-making process, as evaluated by an objective analysis of videotaped patient-physician interactions. “We are in the planning phases for a large scale implementation study”, Hess told MD Magazine in an email exchange. The Mayo Clinic has risk calculators for download here. The Chest Pain Choice document is below.